No one knows Disney history, or tells it better, than Jim Korkis, and he's back with a new set of 20 stories from his Vault of Walt. Whether it's Disney films, Disney theme parks, or Walt himself, Jim's stories will charm and delight Disney fans of all ages. The best-selling Vault of Walt series has brought serious, but fun, Disney history to tens of thousands of readers. Now in its fifth volume, the series features former Disney cast member and master storyteller Jim Korkis' home-spun, entertaining tales, from the early years of Walt Disney to the present. 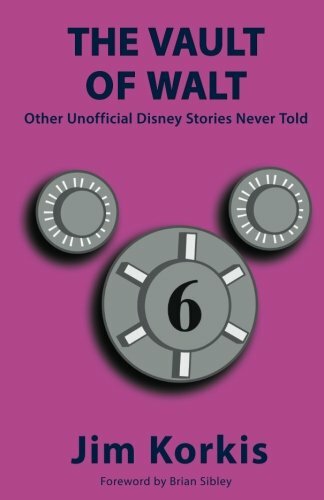 Discover these and many other new tales of Disney history, as only Jim Korkis can tell them, in The Vault of Walt: Volume 6. Then be sure to check out ALL the volumes in THE VAULT OF WALT!